Before you begin your siding installation, make sure your home’s exterior has a layer of plywood sheathing covered with felt paper. First, measure the length and width of all sides of your home. Multiply the numbers together to get the square footage of the space. Next, measure the square footage of areas that will not be receiving siding (i.e. windows) and subtract this number from your overall square footage. Use your final measurement when purchasing wood siding materials. 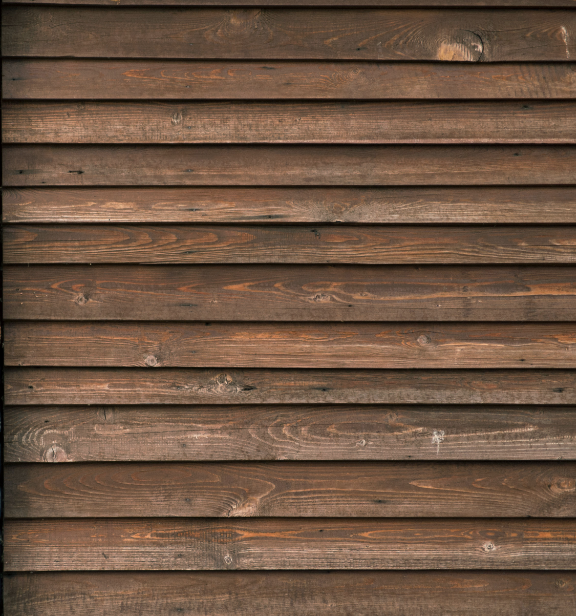 If you’re planning on painting or staining your siding, prime your planks before you install them. Beginning at the bottom of the home, nail your first piece of wood siding (placing a nail every 18 inches or so) to your sheathing using a hammer and nails. If your wood siding planks are tongue-and-groove style, fit the next plank into the first one accordingly. If they’re not, make sure your overlap is the same on each plank. After that, use your level to make sure all planks are installed straight. As you reach the end of your planks, drill a pilot hole about three inches from the end and install your last nail to keep the plank from cracking. Continue up your wall until you reach the top. As you encounter obstacles like windows, be sure to cut your planks to the right lengths and angles. To give your siding a clean look at the top, install wood trim over the top edge of the last plank. Paint or stain your siding to finish off the look of your siding installation.